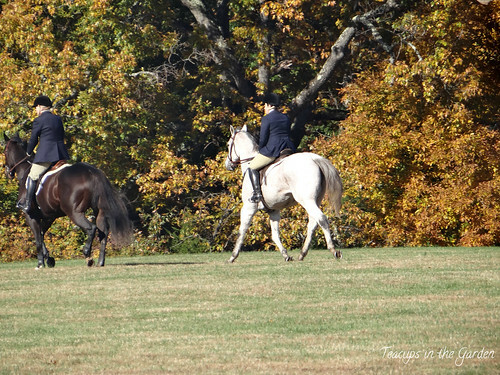 Today I got to attend my first fox chase. 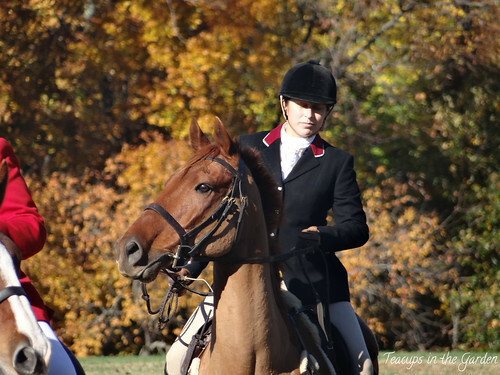 I've been quite interested because of all the influence I see here in Northern Virginia. We heard numerous stories about how the clever foxes throw the dogs off the scent. 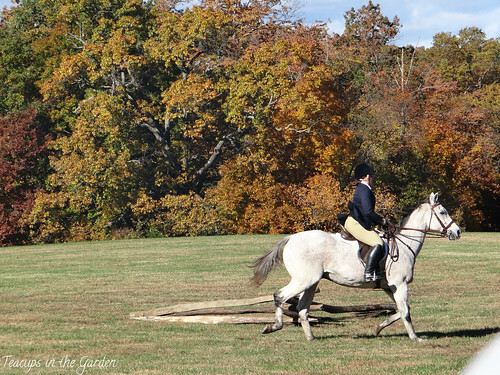 It is important to note that during the American Revolution, General Washington was called the "old fox." 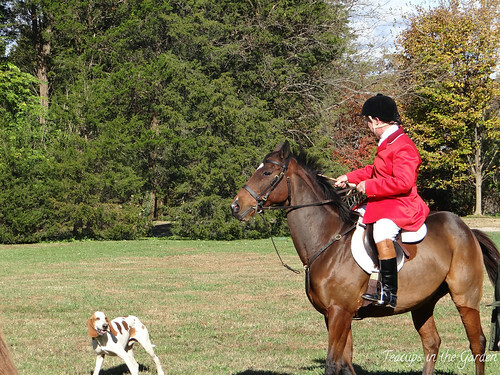 Did you know that there is a legend that even the clever George Washington was outwitted by a fox during fox chases on his plantation? You can read about that in Marguerite Henry's book, Cinnabar, the One O'Clock Fox, which I blogged about here. 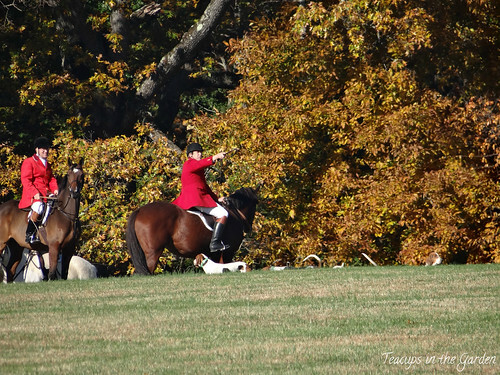 In the 18th century fox hunting typically began in autumn. 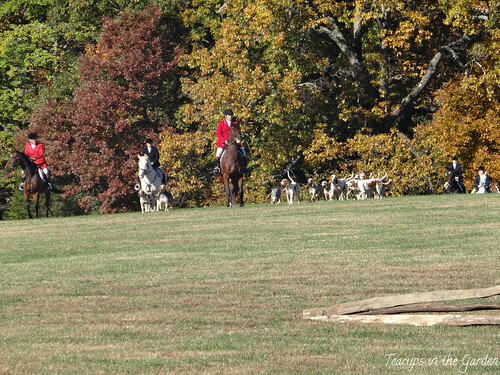 George Washington began fox hunting with the Fairfax family. Washington did not always kill the fox. 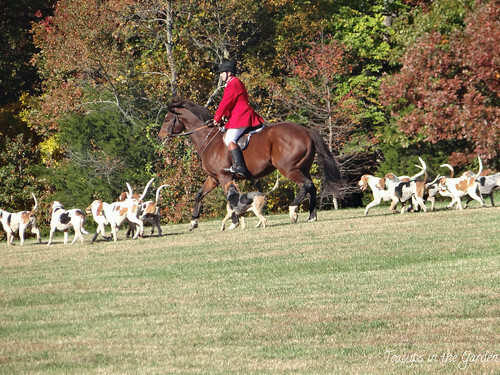 The purpose of the early fox hunt dates to 1534 in Norfolk, England. It was so that farmers could get rid of pests. 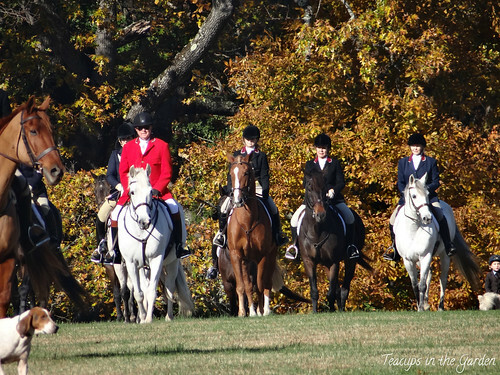 The Marlborough Hunt Club demonstrated for us. 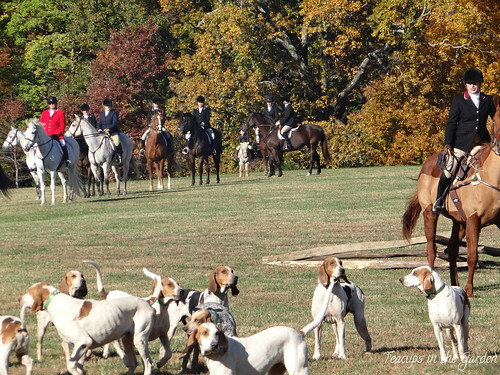 Today's event was not a fox hunt, but rather a fox chase. Actually no foxes were involved, but we were told it would be interesting if a fox were found while the dogs were sniffing near the bushes. 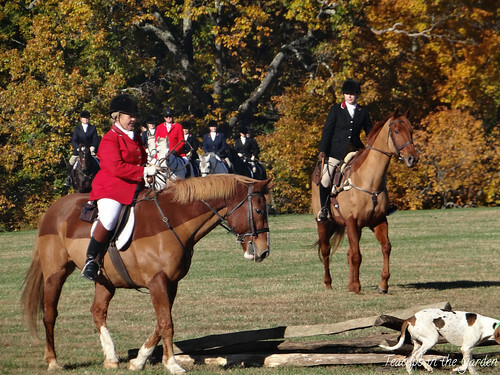 Fox hunting is also quite common in Middleburg, a town in the western part of Northern Virginia. The entire town is decorated in foxes. Much of the procedure of the chase that was described at this event is detailed in this article. 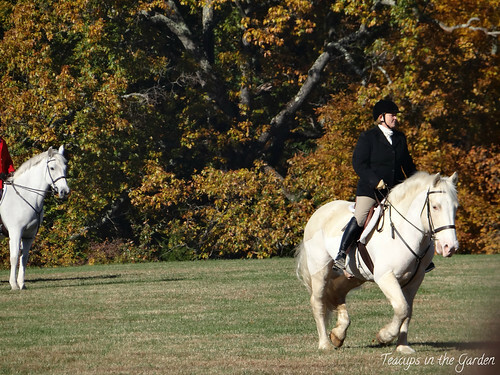 I stumbled upon mentions of Thomas Jefferson and the Marquis de Lafayette also enjoying the hunt. 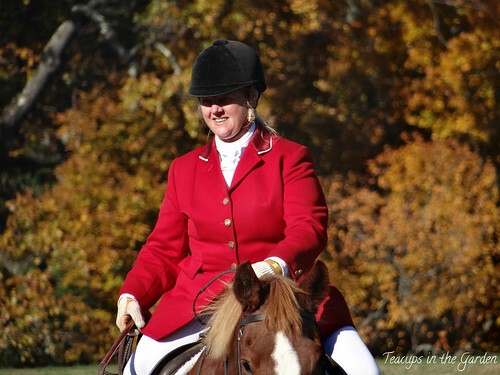 Here I read that the British used fox hunting to train their officers. 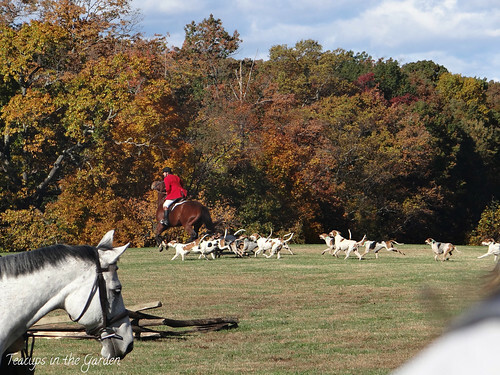 This excellent article details Washington and the hunt. 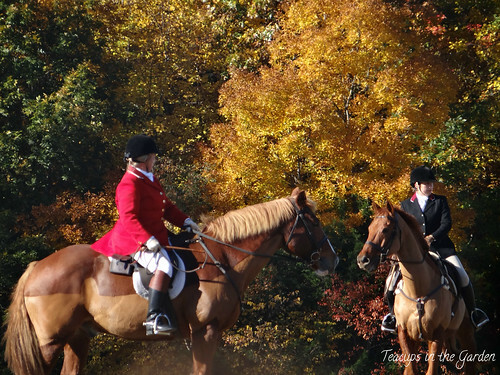 And here is more history on fox hunting. 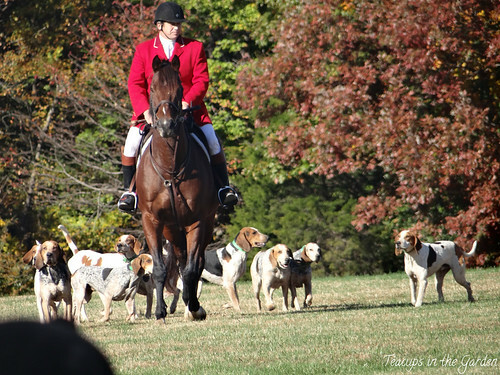 After the American Revolution, Lafayette gifted several hounds to Washington for the hunt. One of them, however, stole the ham off the kitchen table. Lady Washington was angry about that!